Tuskar Construction Services Ltd has been trading since 1991 in both the public and private sector carrying out a range of contracts for both commercial and domestic clients. 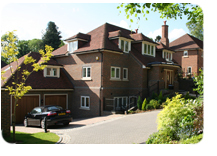 Our contracts range from bespoke house building contracts to hotel refurbishments. We also have a wealth of experience in working on a range of listed buildings with regard to their refurbishment and, in some cases, their complete dismantling and re-construction to the highest standards. We are members of S.P.A.B. and work closely with the local authority conservation architects and listed building planners to realize the aspirations of our clients. We also offer a design and build service tying together the architectural and structural elements of the procurement process to offer clients a "one stop shop". Our diversity, coupled with our common sense approach and a sound knowledge of fundamental building practices, has ensured that our position in the market place will continue both with our current clients and with new clients through recommendation.